If you are looking for the best NY kosher restaurants, consult with this guide and you will find exactly where to go. When you eat at any of these restaurants you will definitely satisfy your hunger cravings! Le Marais is one of the best kosher restaurants in New York. Their menu is just top notch with a lot of dishes to choose from! The staff and crew at the place are very friendly, if you are clueless as to what you will eat they will suggest some of the best sellers or they will explain the dishes to you for you to choose easily. They really treat their customers very well. 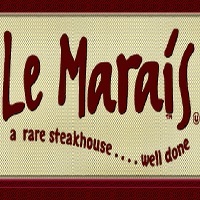 Le Marais in NY has two floors to serve more customers. The ground floor is somewhat a standard place and their second floor is bigger and there are a lot of sofa-like chairs. The prices at the restaurant are decent and lower compared to other restaurants nearby. Ben’s restaurant in NY is a restaurant which is dedicated to and committed to preserving the traditional cuisine of the Eastern European heritage. The restaurant is offering fresh and great food at their place. The food being served is freshly prepared and courteously served in a clean and a well maintained restaurant. 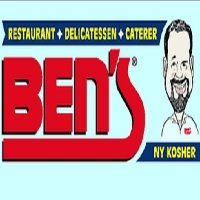 Ben’s restaurant is also carefully observing the kosher dietary laws while serving their food. Ben’s restaurant believes that to bring customer satisfaction is the aim of their restaurant and that is why they are always paying attention to the concerns and comments being given by customers. Abigael’s on Broadway is an elegant restaurant which has two levels and can hold up to 350 guests. The cuisine being offered at this restaurant has a wide variety of choices which includes Latin comfort foods , globally eclectic American fare, Sushi and Pan Asian specialties which comprise of kosher food. Although Abigael’s in NY offers a lot of kosher food, there are a lot of non-kosher diners who really love the restaurant as well. Abigael's is not only considered one of the largest restaurant-catering facilities in the tri-state, but it is also considered the largest and most fascinating Kosher restaurant in the world. 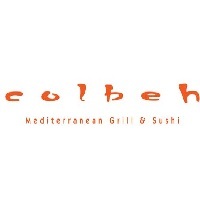 The Colbeh restaurant has been in the food industry for over 25 years. Ever since they started their food business, they have been providing customers with the best and freshest food. They started as a cozy restaurant with a small ballroom but now they have 4 restaurants and two elegant halls which cover Manhattan, Long Island and the Queens area. They are capable of providing customers with a sincere attitude with respect with the kashruth. Colbeh in NY is a famous restaurant for their Mediterranean Glatt Kosher cuisine which has been their offerings for over 25 years now. Their food is gastronomically unique and has been extended to include sushi bars and elaborate Continental dishes. 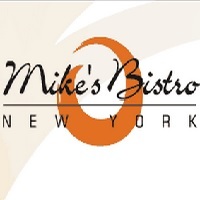 Mike’s Bistro NY is a place where an elegant menu is combined with a spacious and relaxed atmosphere which creates a great ambiance for everyone. 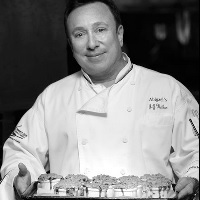 Chef Michael Gershkovich who is the in house chef and the owner of the restaurant is good at creating and executing great contemporary and internationally inspired Kosher food! The cuisine at Mike’s Bistro is grounded yet he manages to have it interesting enough which causes a lot of visits from locals and tourists. It is really suggested that you drink wine while eating each course of your meal so that you will be able to enjoy the food at the maximum level. Mr. Broadway Kosher is a safe haven for all the kosher food lovers in the city of New York. The restaurant is located in the heart of the Garment Center which is just a few blocks from the Macy's, Madison Square Garden. Mr. Broadway in NY is offering a varied quality which is unmatched to the kosher restaurant business. This restaurant in New York has been operating for about 2 decades now and has been satisfying every customer who has been coming to their restaurant. If you love juicy corned beef and pastrami, then you will really love the variety of Char Broiled Entrees on their menu! There is a lot of variety of delicious and delectable salads and fresh fish at their Sushi Bar! You will totally enjoy the food at the place! Moshe Wendel is the in house chef of Pardes Restaurant! He has been cooking ever since he turned sixteen years old and still loving the passion towards food today. 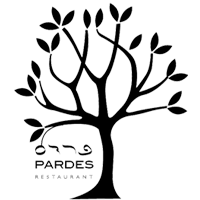 Pardes Restaurant NY has been the new standard for world class kosher food in the New York area. They are located in the downtown Brooklyn area. The menu at Pardes Restaurant has been changing every day! Pardes Restaurant only uses the freshest and highest quality ingredients like their meat, local vegetables and their home made pastries. Moshe mixes classical French training with his eclectic influences in order to create wonderful and innovative cuisine. 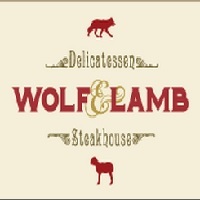 The Wolf & Lamb Steakhouse & Delicatessen is located in the heart of Midtown Manhattan. It was established about 15 years ago. It is just a few steps from the Diamond district, it is really conveniently located for everyone to enjoy great food even if they are busy. The place is also ideal for business meetings and corporate events, if you want to hold one at their place, just inquire at their website or call them. The Wolf & Lamb Steakhouse & Delicatessen is proud to present themselves as the best servers of the best glatt kosher meats. All of their high quality steaks are being butchered in their place and the ingredients are selected for perfect food! You will also enjoy the variety of delicious starters, soups, pasta, salads, chicken and fresh fish dishes. The Shalom Bombay kosher restaurant in NY is considered to be one of the most unique and popular kosher restaurants in the tri-state are for years now. They are offering great dining with an extensive menu of tasty Indian cuisine. They have an eclectic menu which features a great range of culinary delights which includes a lot of non-vegetarian, vegetarian and a lot of exotic food. 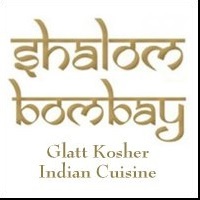 Shalom Bombay NY is open for lunch from 12:00 noon until 3:00pm from Sunday to Friday. Their dinner is from 5:00pm until 11:00pm. During Saturday nights they are open at 7:30pm until 1:00am but only in late fall and winter. The U Café is a fine dining place and is a European style kosher dairy café located in the Upper East Side area of New York. The U Café aims to make everyone feel comfortable and cozy. Business people can have their meetings at the place because of the warm and cozy ambiance of the place. You should invite your family or friends and try their food because it is just outstanding. The U Café NY will surely be your favorite once you’ve tried their food. The U Café also accepts private parties to hold at their place. You can have your birthday, company meeting, corporate event and a lot more! It will surely be fun and will give you a wonderful experience!